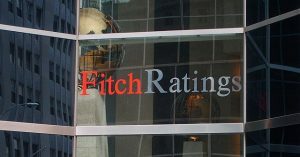 Fitch Ratings-London-28 November 2017: Fitch Ratings has upgraded Centotrenta Servicing SpA (CS)’s Italian Residential, Commercial and ABS Master Servicer Ratings to ‘RMS2’, ‘CMS2’ and ‘ABMS2’ from ‘RMS2-‘, ‘CMS2-‘ and ‘ABMS2-‘, respectively. Over the past 15 months, CS has increased the number of master servicing transactions to 62 from 33, across 20 sub-servicers (end-May 2016: 12). The upgrades reflect that Fitch’s view that this growth has been well-managed through effective capacity planning, appropriate new hires, and an organisational restructure to streamline the reporting hierarchy and improve business efficiency. CS has met its strategic corporate objectives and expanded its structure by almost 30% of the total workforce with no deterioration in the servicer’s performance. Average industry experience across the company remains strong; however; average company and role tenure remain low compared with peers’. CS services portfolios across different assets and loan types, and across a variety of clients. This level of activity compares well with other Fitch-rated master servicers. In Fitch’s view CS’s portfolio and client diversification demonstrates the servicer’s flexibility and ability to establish good external relationships. CS has strong sub-servicer oversight activity, which includes regular site reviews and scorecard assessments to ensure that sub-servicers’ capacity meet portfolio requirements. However, oversight activity is limited in scope compared with other Fitch-rated master servicers, who carry out loan credit decisions and has client money accounts, which is reflected in the ratings. In Fitch’s view CS’s reporting capabilities are strong; over the review period CS delivered a higher number and variety of reports than peers. CS does not have a structured HR and training function as seen at Italian rated servicers, which is reflected in the current ratings. This is largely offset by sound contingency plans and by senior management remaining heavily involved in staff support. The ratings reflect CS’s new training policy setting out the minimum training requirements for new and existing employees, under the oversight of department heads. The first cycle has not yet been completed, hence Fitch could not fully assess the impact of this new policy. CS also receives training support from external professional partners. There has been no staff turnover, which in Fitch’s view, is also an indication that the current training framework is appropriate. Over the review period, CS has introduced new features to its servicing platform aimed at improving automation and flexibility. In Fitch’s view, the enhancements ensure more controls around processes and reduce operational risk around activities, which previously required more manual work-around. The increased controls ensure a clearer audit trail and allow more efficiency. While the servicing platform has evolved and is fit for purpose; in Fitch’s view, the level of automation remains less advanced than at peers. CS’s disaster recovery and business continuity plans remain robust and compare well with other Fitch-rated Italian servicers’. CS operates a three-line of defence risk management framework, comparable with highly rated peers. A specialist third-party has conducted a full annual internal audit review cycle of CS, which has led to Fitch giving more credit in its ratings analysis to the existence of appropriate controls. CS holds market-recognised certifications for IT security, quality, risk and compliance management of cloud services and its data centre. It continues to be audited by clients. This level of external audits compares well with peers. CS’s master servicing portfolio comprises 1,543,875 loans (May 2016: 1,509,962 loans), with a gross book value of EUR6.934 billion (EUR4.166 billion), of which 28.9% loans are secured (16.6%) and 71.1% unsecured (83.4%). CS also acted as primary servicer on one portfolio with a gross book value of EUR15.5 million. This rating action commentary is based on information provided to Fitch as of end-August 2017, unless stated otherwise. The servicer ratings are based on the methodology described in ‘Criteria for Rating Loan Servicers’ dated 23 February 2017, which includes a comparison of similar Italian rated servicers and rated master servicers across EMEA as part of the review process. Media Relations: Stefano Bravi, Milan, Tel: +39 02 879 087 281, Email: stefano.bravi@fitchratings.com; Athos Larkou, London, Tel: +44 203 530 1549, Email: athos.larkou@fitchratings.com.